Indulge your jewelry in summery goodness with these lovely set displays. Summer is all about bright and happy beach colors. If you have a summer collection of jewelry you'd like to highlight in your store, you have to showcase them in an equally fun display. Get to save more by getting a whole set, instead of purchasing pieces separately. 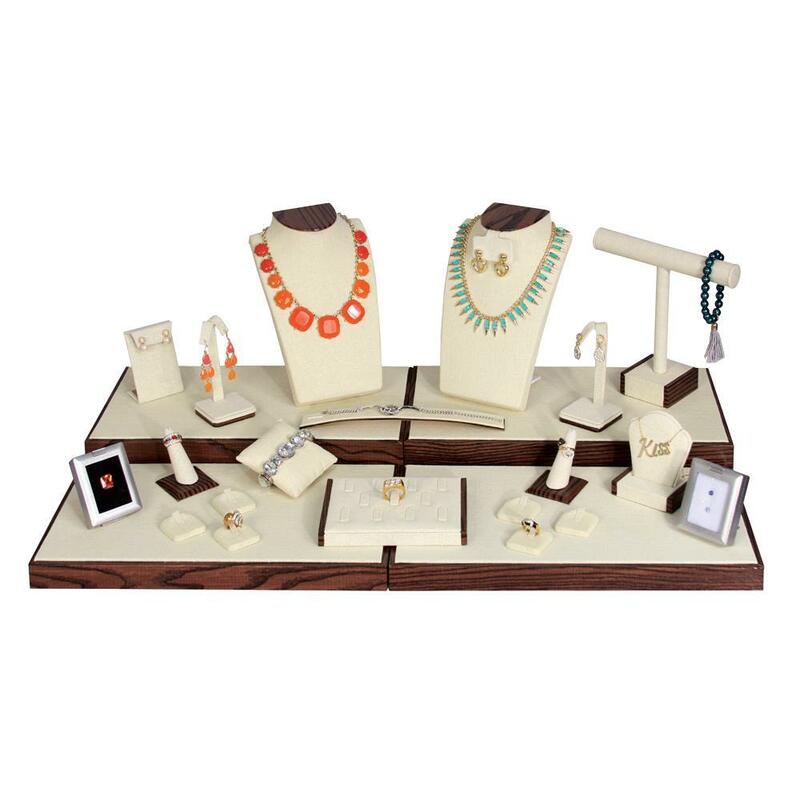 This week, we are turning the spotlight to five jewelry display sets that both you and your customers would love. Rose gold is perfect for summer, which explains why rose gold hair color and makeup are becoming a thing this season. 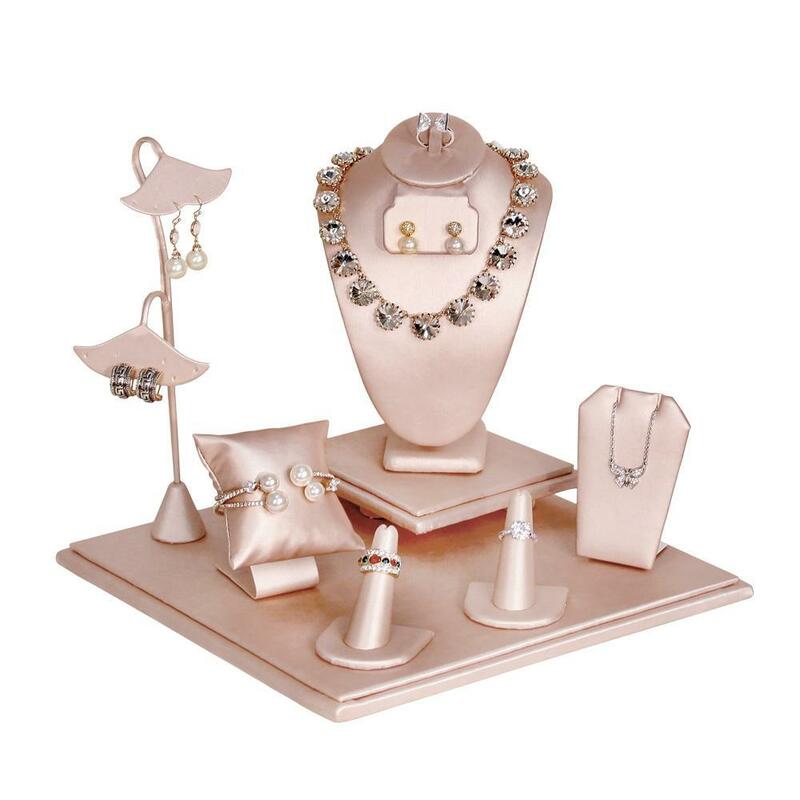 Bring this metallic pink color into your store with the Champagne Jewelry Display Set. It features a square base, making it easy to place in corners. This set has two necklace displays, three earring holders, three ring holders, and a bracelet pillow which may be used for a watch too. 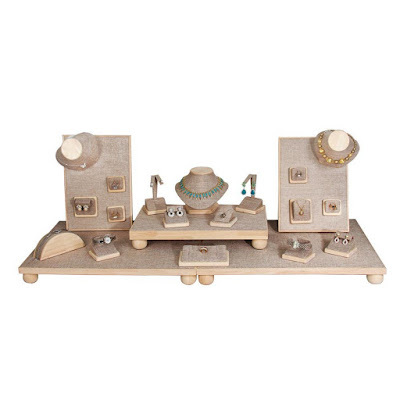 This Combination Jewelry Display Set features 24 pieces. It’s made of beige linen and accented with wood grain trimmings. Beige looks perfect with colorful summer gemstone jewelry. This set has ring holders for 19 rings, two neck display busts, one bracelet ramp, one pendant holder, one t-bar, and one stone case. Turquoise reminds of the ocean, making it the perfect summer color. 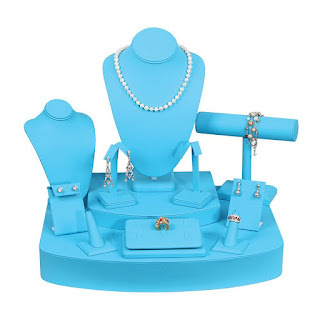 This Turquoise Leather Jewelry Display Set is ideal for pearl and abalone jewelry, as well as other gemstone jewelry with beach-inspired designs. This set can hold seven rings, four pairs of earrings, four to six bracelets, and two necklaces. Burlap has that beach sand color making it one of the best styles of displays this season. This Burlap Jewelry Display Set can make any type of jewelry stand out, especially ones with multi-colored crystals. This set can hold ten rings, three pairs of earrings, one bracelet, and three necklaces. Adding natural wood accents on burlap levels up its beachy vibe! 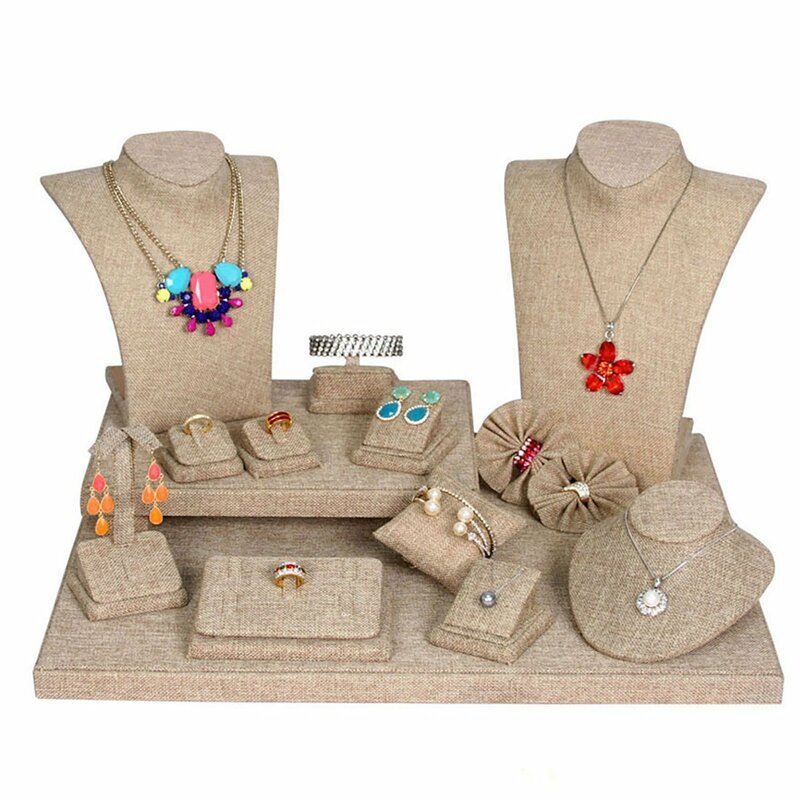 The Burlap and Natural Wood Jewelry Display Set is a bigger version of the previous set and exudes a more chill, summery vibe. It can hold up to 10 rings, five pairs of earrings, one bracelet, five necklaces, and two wrist watches. Need to see more jewelry display sets for your jewelry collection? Check out NileCorp.com!